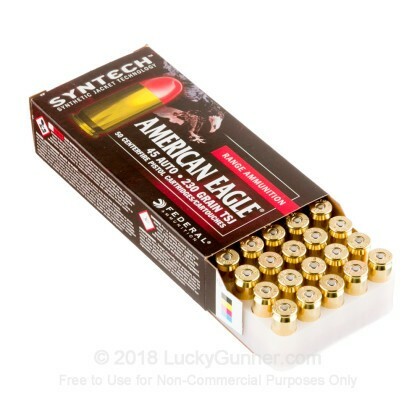 Take your favorite .45 Auto into the future of practical shooting with Federal's American Eagle "Syntech" line of ammunition. 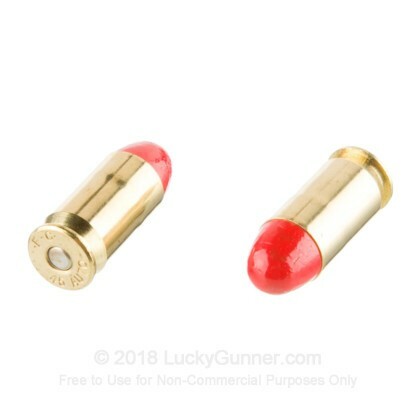 This unique round design uses a lead-core bullet which is full encapsulated by a Total Synthetic Jacket (TSJ) as opposed to a traditional copper one. 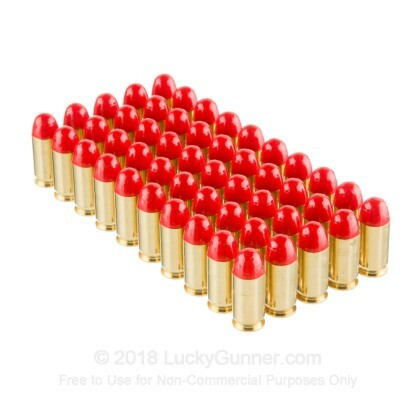 Each bullet is loaded into conventional brass casing which is filled with clean-burning powder and fitted with a lead-free "Catalyst" primer. The combined effort from the primer and the TSJ's polymer material leaves no heavy metal residue in the pistol which translates to less cleaning and more dependable function when you need it. The synthetic jacket also eliminates metal-on-metal contact which not only decreases barrel wear but generates less heat for greater longevity and comfort when handling older 1911s with thin dust covers. 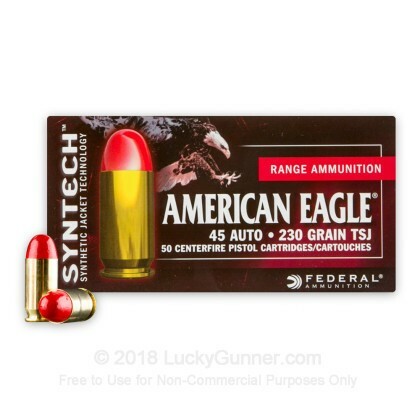 Federal has made sure to maintain a 230 grain projectile weight for this round profile which provides compatibility and reliability with the widest range of .45 ACP chambered firearms as well as a trajectory which matches numerous personal defense loads and competitive choices. 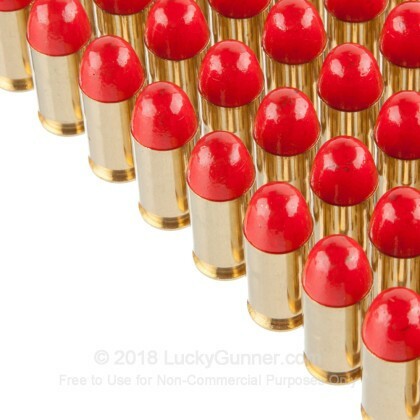 Federal Premium is one of the leading innovators in the American ammunition field and is a proud sponsor of many professional shooters. 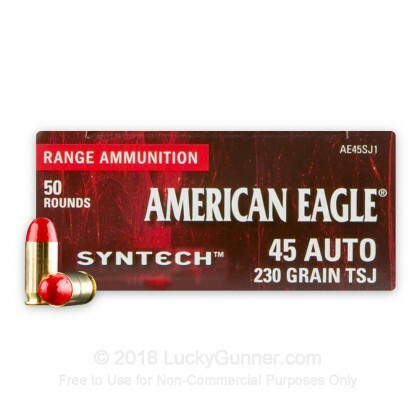 Their superior manufacturing quality coupled with their drive to serve the shooting community results in high grade products like Syntech alongside other specialized lines aimed to assist in hunting and law enforcement endeavors.